Accordind to sources, the Cabinet can take final decision on E-CoS proposal this week. 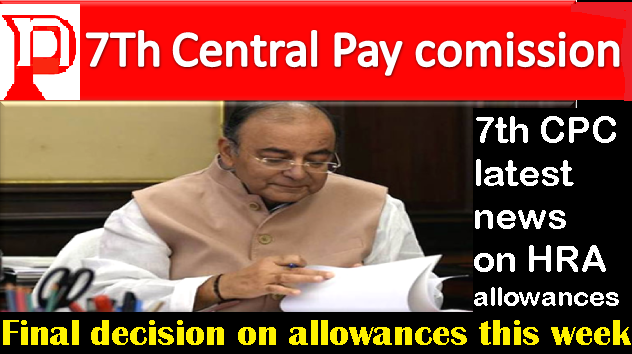 The Empowered Committee of Secretaries (E-CoS) set up to screen the Lavasa panel recommendations on allowances, last week submitted its proposal to the Cabinet for approval. New Delhi: The central government employees are likely to get revised HRA allowances from July onwards. According to sources, the Cabinet can take final decision on E-CoS proposal this week. The Empowered Committee of Secretaries (E-CoS) set up to screen the Lavasa panel recommendations on allowances, last week submitted its proposal to the Cabinet for approval.